Four shiny shovels in the hands of young Calliope residents turned the first sod of soil at the site for the long-awaited Calliope High School early last week. 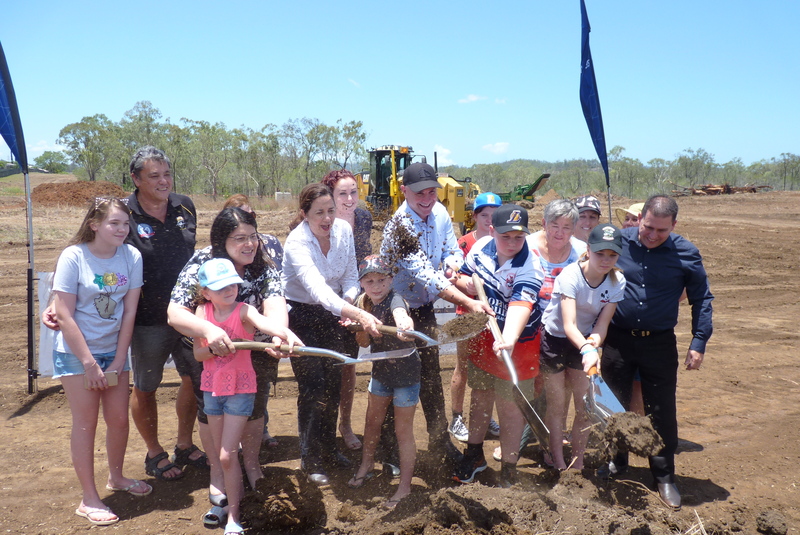 Joined by Queensland Premier Annastacia Palaszczuk, Education Minister Grace Grace, Member for Gladstone Glenn Butcher and Gladstone Regional Council Mayor, Matt Burnett the Calliope community celebrated the exciting and important milestone. “The school has been a long time coming for the Calliope community”, the Premier said. “I am so pleased to be delivering on the State Government’s commitment to building it,” she continued. Calliope resident and Calliope High School Campaign Co-ordinator, Lynda Ninness told Gladstone News that the breaking of the ground was the end of a long, but worthwhile battle. “For the last five and a half years we have been fighting to save land, to stop the rezoning of land and today we get to break the ground for the building of Calliope’s High School,” Lynda said.